During National Adoption Month, Jockey International is raising awareness, funding and support for post-adoption services via their “Jockey Being Family” initiative. 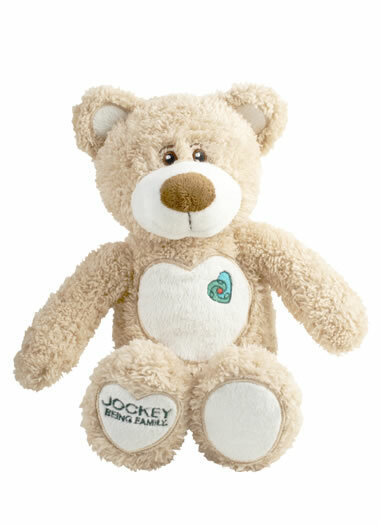 Three dollars from the sale of a plush teddy bear as well as 1% of sales from Jockey.com and the Jockey catalog will be directed to the company’s nonprofit partners. At retail, customers are encouraged to donate $1 at the register for the cause. To date, Jockey Being Family has donated more than $4 million to the post-adoption services cause. Jockey CEO Debra Waller was adopted and has made post-adoption services the company’s signature cause. We bring this particular initiative to your attention because of its unique cause focus, one that works for the family-focused brand. In our cause-cluttered marketplace, simply having a unique cause area of focus can pique consumer attention and interest. These unique cause niches may necessitate additional explanation, but are worth exploring for companies looking to differentiate their cause brand.